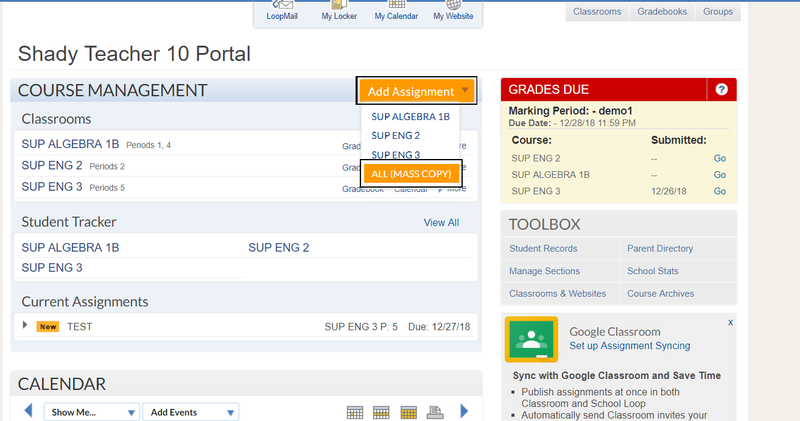 The user is unable to see the Mass Copy Assignment tool in Gradebook. SchoolLoop versions SLS1 and SLSv2. Because a Gradebook is tied to a course, any content created automatically publishes just to that course, thus, causing the Mass Copy Assignment to be invisible in Gradebook. In order to publish to multiple courses, you must be outside of a course Gradebook like on your Portal homepage or in your Course Archives. 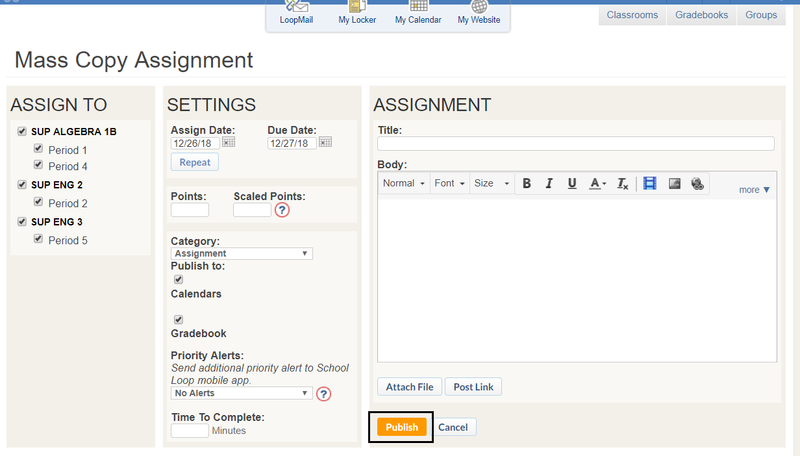 From the home page of SchoolLoop, go to 'Add Assignment'. Click on All (Mass Copy). Upon clicking on 'Publish', a 'Success' message displays once the assignment is published, confirming that the assignment was published.